It’s Halloween! It’s Halloween!!! Happy Halloween everybody! I love this time of year, and I love this holiday! There are great movies on the air, there’s a great feeling in the air! Baby, I loves it! Despite my mounds of horror-related crap, I initally had a tough time deciding what exactly to write about for the first Halloween post of my silly little blog. What I first had planned was a no go, for no other reason than I just couldn’t think of much to say. And that was for a 30-second commercial! 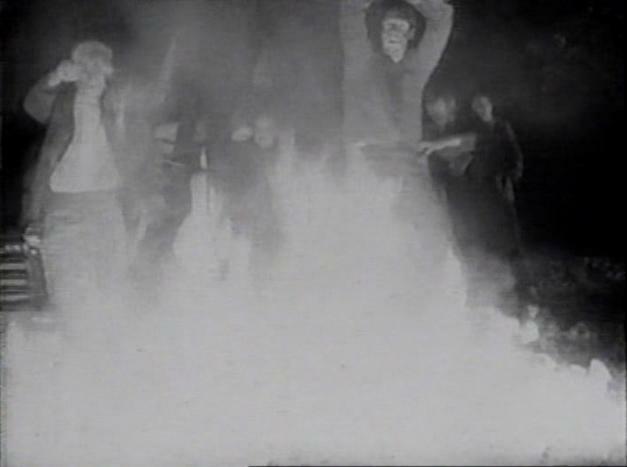 So, at the proverbial last minute (well, two days ago), I decided to write about the original 1968 Night Of The Living Dead. Because Heaven knows what the internet needs right now is article # 5,637,242 on the movie. 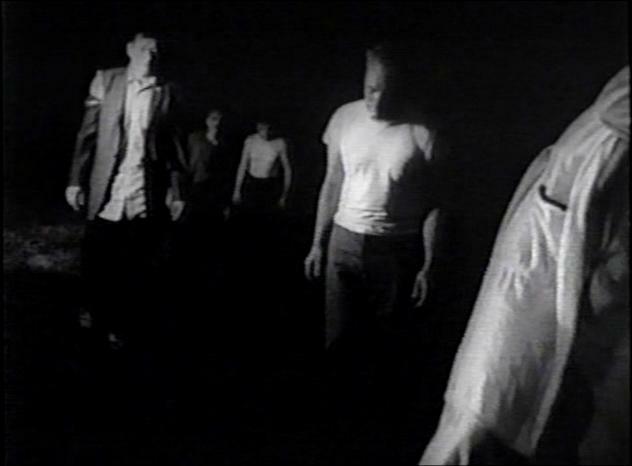 Seriously, has there ever been a more written about movie than the original Night Of The Living Dead? It’s legendary (not to mention public domain) status has ensured that just about everyone has had their say on the movie by now. 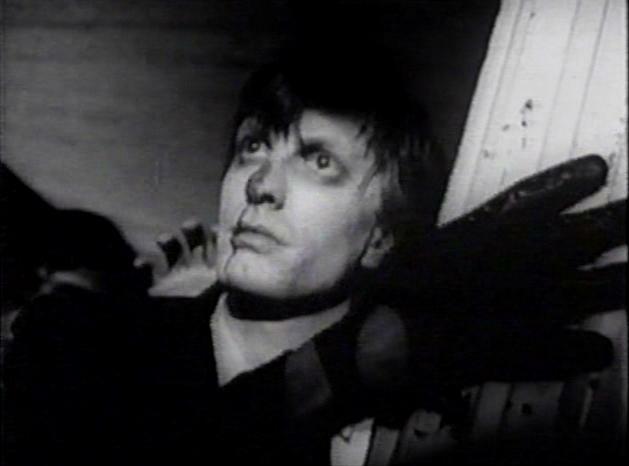 BUT, the Night Of The Living Dead I’m talking about isn’t just any old version of the move. No, this is one of The Cat’s (WAOH TV-29 in Akron and WAX TV-35 in Cleveland) annual Halloween airings of the film! This was a staple of the station in the late-90’s, and probably up through the 2000’s, too. Unlike other movies on the network (which were syndicated via America One, content from which WAOH regularly carried), The Cat had it’s own print of the film, and they ran it each and every Halloween as their 8 PM movie. Of course, there are no station I.D.’s during the movie, and most of the commercials were either ones I’ve talked about before or not interesting enough to talk about now, so I can’t prove this is absolutely a genuine WAOH/WAX airing, but I’m nothing if not honest, so let me assure you that it indeed is. Not that anyone besides me really cares one way or the other, but just thought I’d throw that out there. Also, while I’m reasonably sure this is a 1999 airing, it could also conceivably be a 2000 airing; the commercials were of no help whatsoever in determining the exact year, but again, no one besides me really cares. But, I gotta be straight with you, my loyal reader(s). Night Of The Living Dead has been public domain forever (basically since it was released), so local stations running it is nothing out of the ordinary. But, one thing I always loved about The Cat’s annual broadcast of the film was that while it was a reasonably sharp print (although my screenshots, taken from my DVD conversion of a now 14 year old VHS copy that was recorded in SLP mode from a local independent station, may not always accurately reflect that), it was also very dark, dusty, dirty and scratchy. 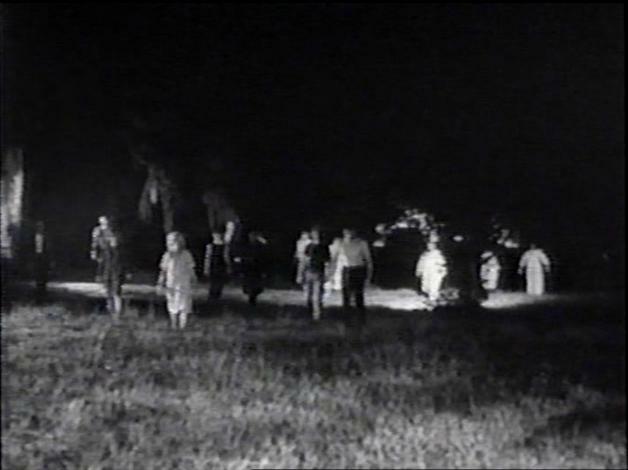 Now, most people would want their Night Of The Living Dead to be as clear and clean as possible. Not me, and I’ll tell you why: in regards to this movie, the more worn-out a print is, the more nightmarish the film becomes. It’s already black & white and claustrophobic, and the dirt and scratches only add to the ‘scary’ vibe the film naturally has, in my opinion. it’s almost like looking through a dirty window and seeing something that you shouldn’t. Honestly, I feel the same way about the 1922 Nosferatu: clean it up as much as you want, add tints, whatever, but leaving it black & white and worn-out gives the film a nightmarish quality that, I feel, no amount of restoration can replicate. Oh, I understand why these films need to be preserved in the finest quality possible, I’m not arguing that at all. Restore ’em, get ’em out there on DVD and/or Blu-Ray, let the people see the flick the way it was meant to be seen. There was an artistic vision that can and often does become obscured under the grime from years of runs through the projector. So yeah, I’ve got no problem with each new, ostensibly better release of Night Of The Living Dead (or Nosferatu). I’m not even sure what I’m really proposing here. What, the latest Blu-Ray is gonna tout “Old & unrestored! Looks like it was dragged around the parking lot 6 or 7 times!” or some such tagline? Alls I’m sayin’ is that fried old Night Of The Living Dead effects me in a way the cleanest print ever couldn’t. I know that won’t be a popular opinion. In fact, I may be the only one that holds it, but I’m fine with that. Yeah, I’m weird (but isn’t Halloween for weirdos?). The Cat’s annual broadcast of Night Of The Living Dead wasn’t what introduced me to the film, though. I think I first saw the annual Halloween airing in 1998, but it was a year earlier that I stumbled upon Son Of Ghoul’s showing of the flick. I had seen neither it nor Son Of Ghoul in any real capacity prior, but I was instantly hooked on both. Not only did I immediately become a SOG fan, but I absolutely loved the movie. Having no experience with the show, it took me a minute to realize they were dropping sound effects and whatnot into the movie, and while I found them funny, they didn’t distract from the film, which I quickly became hooked on. 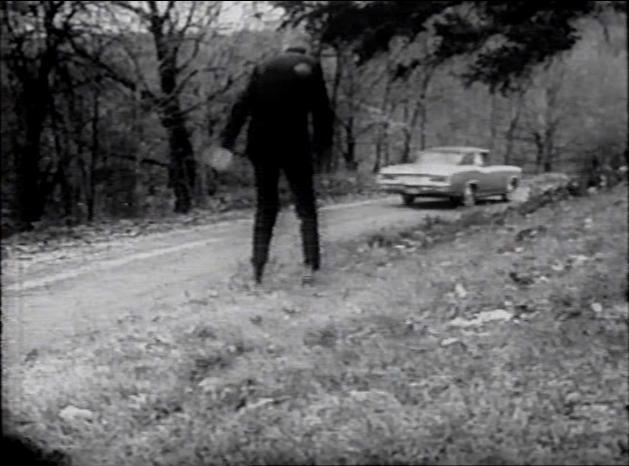 Upon that viewing, Night Of The Living Dead struck me in a way few, if any, other horror or sci-fi movies had before. It genuinely scared me. Granted, I was 11 years old, and I wasn’t exactly hiding under the covers; it was a good kind of scared, a chilling “can’t stop watching” movie that left a lasting impression on me. It instantly became a favorite film of mine, and beyond that, introduced me to a whole new world of horror movies. This was something more intense, more genuinely frightening than I had ever experienced before. It was great. Let me reiterate that that introduction wasn’t this airing, but it’s close, at least as far as evoking personal memories of that era, when I was constantly discovering new old movies. 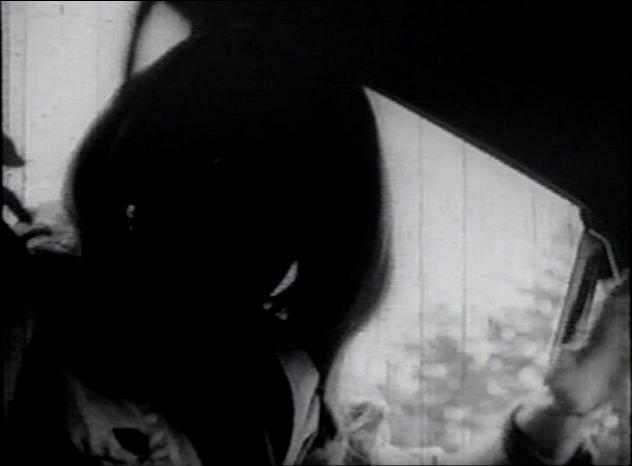 From Night Of The Living Dead, I checked out the other films in George A. Romero’s “Dead” series (at least as many as had been released at that point), other zombie movies, any new-to-me horror or sci-fi movie I could get, even branching out into Italian and Spanish (and beyond) flicks. For awhile, I would have considered the 1978 sequel Dawn Of The Dead the best and my favorite, but over time, I’ve really reverted back to preferring the original; I’ve grown to appreciate the claustrophobic, increasingly intense atmosphere (it all starts out normal enough, and then all hell proceeds to break loose) and black & white cinematography more and more over the years. Not that Dawn is bad in any way, but Night just appeals to me more nowadays. I should also note that this original Night Of The Living Dead is really the only ‘brutal’ horror film I still retain love for. Not that it’s really as “extreme” as some modern horror films are, of course (though it’s still a very effective film). After a good part of my teen years, when I had “the more gore, the better!” mentality, I eventually developed an aversion to overtly graphic horror or sci-fi movies; anything that realistically depicts people being murdered and such (especially when it’s just for the hell of it), I really don’t care for. Nowadays, I generally prefer the Universal or poverty row films of the 1930’s & 1940’s, and the cheapies of the 1950’s & 1960’s (and even into the 1970’s). I mean, no one in their right mind would ever take The Creeping Terror seriously. Also, you couldn’t pay me to watch some of the Eurotrash I watched back then, today. Night Of The Living Dead, though, still works for me because, yeah, it’s scary, people die horrible deaths, but there’s an underlying air of, I don’t know, something deeper, I guess? George A. Romero wasn’t just feeding people to zombies for the hell of it, is what I’m saying. Rather than repelling me, Night Of The Living Dead hooks me in the same way it did when I was 11 years old and watching it on Son Of Ghoul. For those that haven’t seen it (yeah, all four of you), I suppose now is as good a time as any to give a bit of a synopsis, though it should be clear by now that this isn’t really that kind of film review. 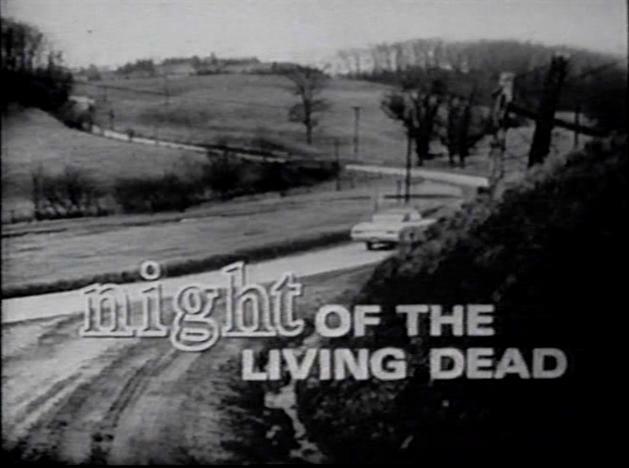 Night Of The Living Dead is a 1968 film by George A. Romero, the first of what would eventually become a series of “Living Dead” films (as well as the first of many, many knock-offs). The plot, in a nutshell, involves corpses that suddenly spring back to life with a craving for the flesh of the living. Those bitten by said corpses are then destined to become flesh-eating zombies themselves. The normative way of killing a zombie is by setting it on fire or destroying the brain via shooting, bashing, and so on. So, it ends up that seven people become stranded in an isolated farmhouse, a farmhouse becoming increasingly surrounded by more and more zombies. The inital idea is to board up the windows and wait for help, but it eventually comes to be decided that they need to get out and find help themselves. I really don’t want to risk spoiling any of the film, because watching it fresh with no idea what’s coming next is an amazing experience. I will say that the ending, which I don’t dare reveal for those that may not have seen it (again, a number that is quite possibly in the single digits), absolutely knocked me out when I first saw it. I mean, it just blew me away. 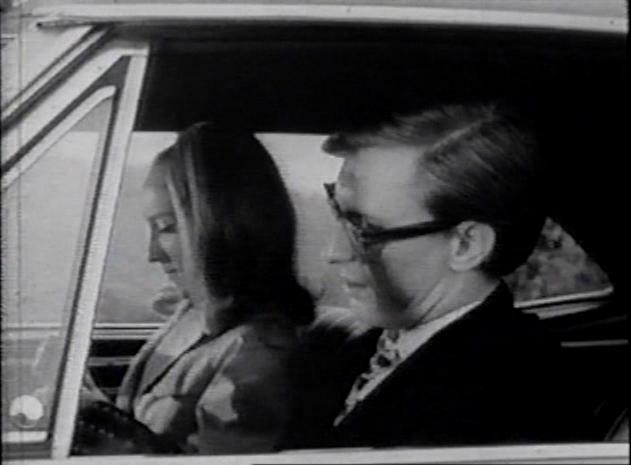 Night Of The Living Dead is just about the easiest film in the world to see. Since it’s public domain, you can find it for free and legal download on the internet, or for those less technologically experienced, it can be found on a huge number of DVDs, VHS tapes, and it’s even on Blu-Ray now. Of course, print quality varies from version to version, and as a rule of thumb, the more you pay, the more namebrand the manufacturer, and the better it’ll look. Not always, but often. 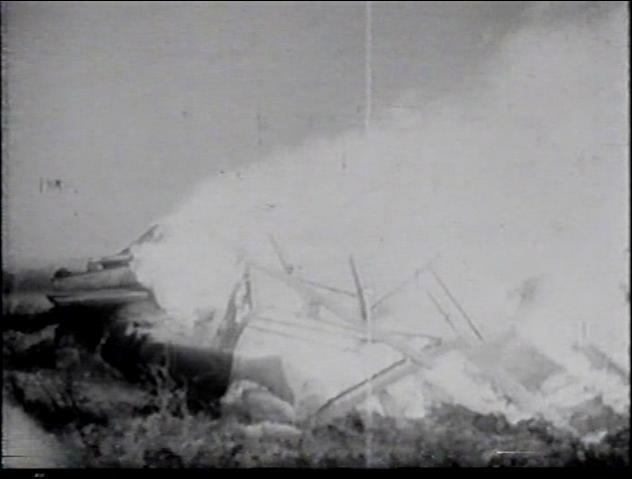 At least, that’s how it usually played out back in the VHS days. Which brings me back to this WAOH/WAX airing from 1999, which this article is ostensibly about. It’s that copy that I recorded way back then that means the most to me. Not because I didn’t have ‘official’ copies (I got a cheapo $4 VHS copy from Best Buy relatively soon after my initial viewing in ’97), but because it really does recall my memories of growing up watching The Cat, when I was almost constantly discovering (and taping!) something new and cool. Nowadays, Night Of The Living Dead may no longer be in my top 10 favorite films ever list, but it’s almost certainly in my top 10 horror films list. All of the countless rip-offs, homages, and whatnot that have been released in the years since, and yet, few (none?) can touch the original; the aforementioned Dawn of The Dead, in my opinion, comes closest. At any rate, Night Of The Living Dead is one of the definitive Halloween movies, one that should be watched if you haven’t seen it, or watched again if you have. I don’t know if I’ll replicate the ’99 WAOH broadcast that this recording comes from, but I’m happy knowing that I can, even if the channel itself isn’t the same nowadays. Have a great Halloween, everybody! This entry was posted in Uncategorized and tagged 1968, 1999, 2000, airing, akron, annual, article, broadcast, cat, channel, cleveland, film, george a. romero, george romero, halloween, independent, indie, local, movie, network, Night Of The Living Dead, northeast ohio, Ohio, old, original, overview, print, remake, review, romero, station, television, the cat, tv, tv-29, tv-35, vintage, waoh, wax on October 31, 2013 by neovideohunter. Vintage Bruce Springsteen Carnival Mirror Prize! For $2, your Northeast Ohio Video Hunter found pure joy at Goodwill last night. No, this has nothing to do with videos, broadcasting, electronics, or any of the crap I usually cover, but I’m a diehard Bruce Springsteen fan and it’s my blog so I’ll do what I want. An old school Bruce Springtsteen carnival mirror prize! It sat, sad and alone, with the other miscellaneous goods that made up the “knick knacks” section, but this was so, so much better than candle holders and novelty statuettes. Generally, you’d win these things at, say it with me, carnivals, should you perform whatever feat a rigged game called for. There seem to be a few pin-prick holes in the graphics, so maybe it was won by throwing darts? That’s what my patented NEO Video Hunter deductive reasonin’ is telling me, at least. This is clearly from the Brucemania days of the mid-1980’s; the red & white stripes and headband are dead giveaways this is Born In The U.S.A.-era Bruce. Not quite my favorite Springsteen period (that probably goes to the Darkness On The Edge Of Town and The River-eras of his career), but certainly his biggest. It’s impossible to overstate how huge Bruce Springsteen was in the mid-to-late-80’s; The Born In The U.S.A. album and tour were massive. Springsteen never had a wider audience, though this has had the unfortunate side-effect of creating a bunch of stuck-in-1984 fans that refuse to give anything else he’s done since a listen (seriously, during his 2012 Cleveland concert, someguy directly behind us whined and complained nearly the entire time because Bruce wasn’t playing songs he recognized. The only time he shut up was when an older song he did know was played. If this dude would have closed his mouth for even a moment, maybe he would have realized what an amazing show Bruce was putting on. But, I digress). Now, as far as I can ascertain, this is a carnival mirror prize, but it isn’t like most carnival mirror prizes I’ve seen online. Typically, carnival mirror prizes would feature an image over mirrored-glass (hence the term “mirror prize,” dig? ), placed into a cheap, usually cardboard, frame. 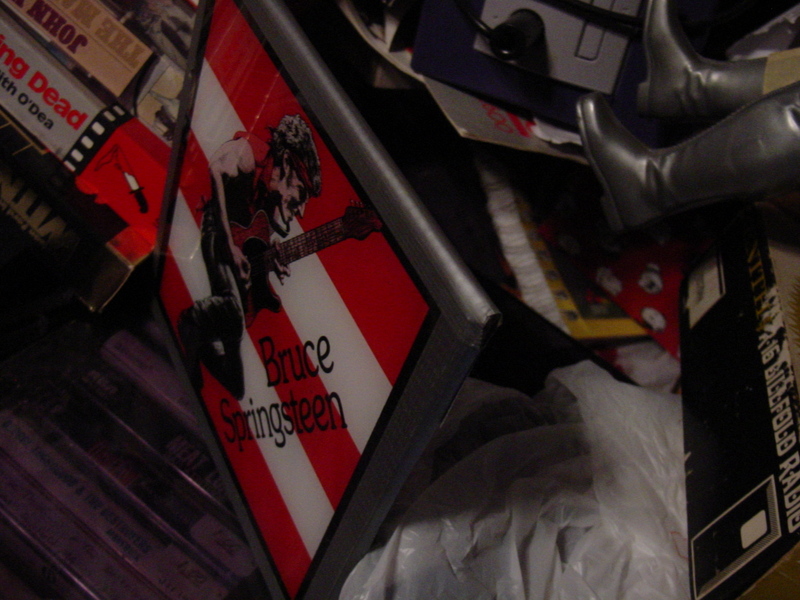 If you can peel your eyes away from the admittedly cluttered spot I decided to take this picture, you’ll see that my Bruce Springsteen thing lacks a frame proper. Rather, it’s under glass, which is duct taped to a piece of cardboard. Furthermore, the image (which isn’t mirrored in any way) doesn’t appear to be a part of the glass, but rather a plastic-graphic sandwiched in-between the glass and cardboard. So, while I’m thinking this was a carnival mirror prize, it may have been some other kinda-related promotional item. I seem to recall stands that had pics hung on the back wall, and you could pick which one you wanted to be airbrushed onto a shirt. But, I don’t know. No doubt about it, this thing is cool. Yes, joy can be had for only two damn dollars. (In the interest of full-disclosure, I would have had absolutely no clue what this might be if it weren’t for a helpful article on one of my very favorite sites, Dinosaur Dracula. The proprietor of that fine site wrote an article all about carnival mirror prizes, and it’s thanks to him that I even know to call them “carnival mirror prizes”. You can read that article here: http://dinosaurdracula.com/blog/carnival-mirror-prizes/ ). 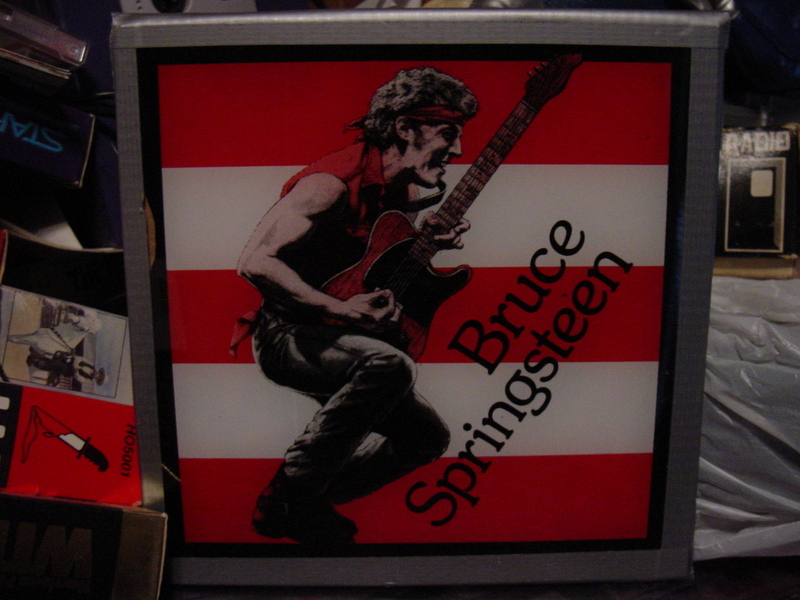 This entry was posted in Uncategorized and tagged 1980's, 1980's 80's, 1984, 1985, 80's, album, born in the u.s.a., born in the usa, bruce springsteen, carnival mirror prize, concert, e street, e street band, flag, glass, graphic, guitar, headband, image, item, picture, promo, promotional, show, tour, venue, vintage on October 24, 2013 by neovideohunter.